Here’s what you can expect to see as a subscriber. 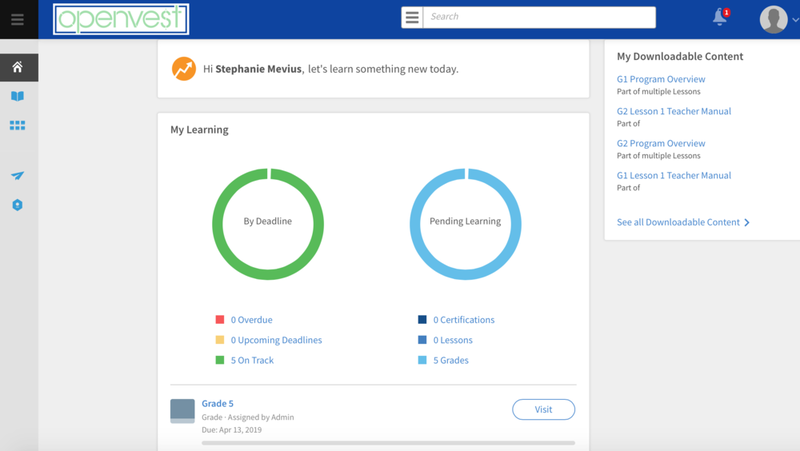 Openvest’s online curriculum is separated by grade, with lessons divided into modules. From the home screen, you will see the grade you’ve subscribed to, as well as your progress and the downloadable content available to you. On the sidebar, you’ll see tabs that will allow you a more in depth look at your progress, as well as a place to see what badges you’ve earned and skills you’ve acquired. Lessons are designed to be progressive and flow easily to allow for ease of instruction on the part of the classroom facilitator. 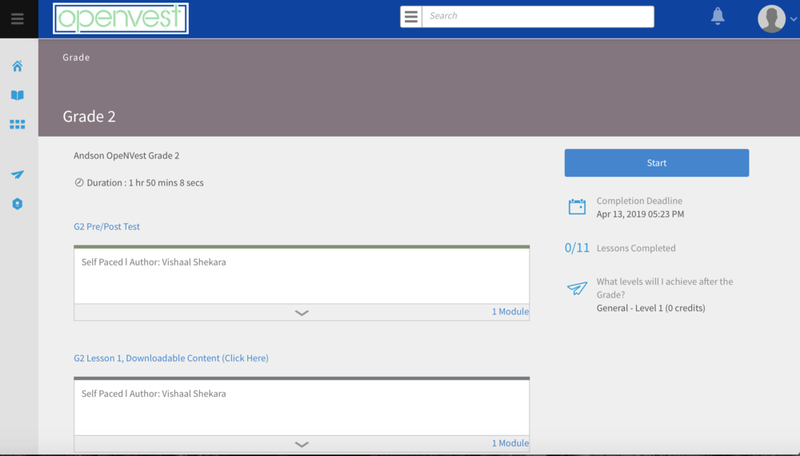 Once you’ve completed the first module, the following module becomes unlocked, thus ensuring all parts of the lesson have been worked. Each grade begins with a pre-test, which once completed, unlocks Lesson 1. 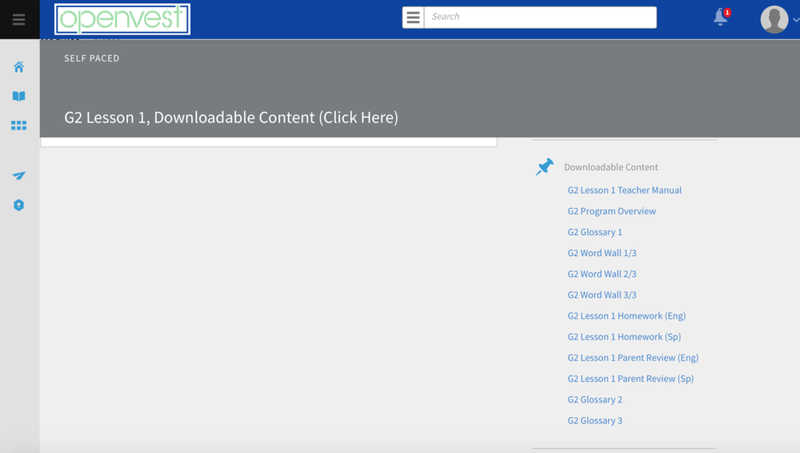 Downloadable content is available for every lesson, from the teacher manual, to homework, parent reviews, “word wall” vocabulary words, and glossaries. 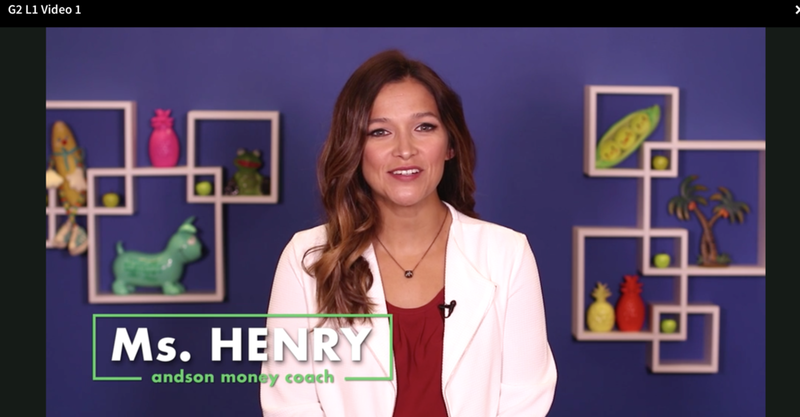 Andson Money coach Ms. Henry brings vibrancy to financial literacy in engaging and interactive video lessons. She covers lesson topics, in-class activities, and even how to complete homework assignments! If you have more questions, please get in touch with us here! If you are an existing subscriber, please contact us here. Click here to be brought to the FAQ.